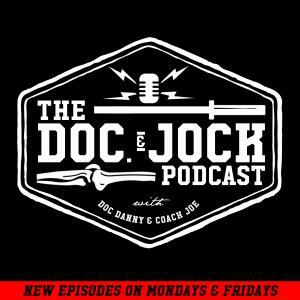 On Episode 225 of the Doc and Jock Podcast we debut a new segment called What I Wish I Had Known (we are still working on the name). On this segment we sit down with some super high level long tenured coaches and get them to share 5 things they wish they had known when they started coaching. On the very episode we are joined by veteran Doc and Jock guest Jason Fernandez. Jason is a member of the elite CrossFit Level 1 Trainer Staff, holds his CFL3 and has owned his own gym CrossFit Rife for 11 years. Basically the dude is a badass coach and has a lot of knowledge to share on this episode.